Music Producers, Song Writers, Music Composers, Session Players….They all have the same question and that is “How do I got about getting my music licensed?“. I strongly suggest you make it your mission to meet older producers. Older, more experienced producers have been where you are and they have a lot of knowledge to pass down. 70% of all music that is licensed are instrumentals. If you don’t have instrumental versions of your songs…get them! If you’re not a tech savvy individual then have someone who is go through your material and create the instrumental version for you. The next time you’re recording at the studio just have the recording engineer (or who ever is recording you) bounce down a version of the song without the vocals. The video game industry has been and still is a fast expanding market. 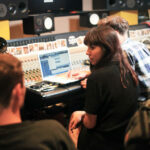 You’re going to want to get in touch with both ‘game developers’ as well as music supervisors. Make sure you approach them in a very respectable manner. Tell them who you are, what kind of music you make and what you are trying to do with your music. Ask, them what projects they may have underway and what type of music they are after. Make sure you have a demo on hand just in case they contact you asking for such. NEVER EVER SPAM and make sure you’re patient, sometimes it takes weeks for companies to get back with you regarding inquiry. Sign up with 3rd party stock music companies. There are a lot of companies out there for you to choose from but the ones I’ve had the most success with are: Taxi, Pumpaudio and Rumblefish. Some companies will charge you a fee in order for you to submit while other’s will simply split the royalties and or upfront licensing fee per placement that they land for you. The big plan here is once you’ve had a few placements through these companies you then contact the company (that licensed the music) directly and build a relationship and skip the middle man (in some case). Building a relationship with a publisher is also a good thing to do. Speak with some publishers directly – You can find publisher fairly quickly using the internet. These days everyone has an email, facebook, twitter or some kind of social platform you can contact them on. Publishers are always looking for new talent to work with. What I would do is contact them and see if they are working with anyone that specialize in the same genre(s) of music you do. Make sure you have buzz around your name via social media etc this is always a plus. If you don’t have an EPK get one! Don’t don’t sign an exclusive deal with anyone as it will limit your success I don’t care what kind of deal they are offering. Plus it’s smarter to have 5 companies shopping my music than 1..
Be Proactive That’s The Only Way You Will Ever See Results. Being different – There are 2 schools of thought here. 1 school believes that you should be different, make your own sound and you will stand out and have a better chance of getting placements. School 2 believes that you should do what everyone else is doing because it’s works! Well, here is my thought. I feel you should attack at both angles. Send in original music, but still cater to the trend craving market. A lot of directors and music supervisors aren’t looking to break a new record like a DJ or a Label is. Most of the time they just want something that sounds similar to so and so: Lil Wayne, Skrillex or whatever hot trendy song is out at the time. So you have to learn to cater to the market if you want to get paid in this business. Supply library music – Supplying library music is easy and fun to do especially if you already have a nice archive of music on board. Just be careful as to what you’re signing away when you agree to terms and conditions. Some Library companies will want to own the track out right while other’s will not. If you don’t mind giving up your rights cool just make sure you’re being well compensated. I personally hate letting my music go (the rights to my music) but honestly if the price is right I might have to. Use tunecore to get your music coded for video games such as Jam Legend or Rock Band. It’s simple, you upload your song and thousands of people use it while their playing there video game. The royalties are paid out per sell similar to mp3 albums and what not. I’ve been fortunate enough to rack in a couple thousands dollars using this avenue, you won’t get rich over night but it’s pretty lucrative. Important things to remember when submitting music. You really touched on some very interesting things here in this post. I find the bit about TuneCore very very interesting. I had no idea you could do such things on there. I do have one question. You said have and instrumental version of everything/ Im assuming you’re talking to artists when you say that. If an artists was to submit there song/instrumental without vocals, wouldn’t the producer of the instrumental need to be notified? Do they recieve royalties or something because I would think the song without vocals goes back to being the work of the producers unless they hand over all of the rights. Yes, that suggestion was more so geared toward those who have ownership of both or have legal right to shop the material. If you as a producer leased an instrumental to an artist, they (the artist) would need your permission to submit your material. Great website. Just came across it and have already found it very useful. I have a question for you. I have been a producer and engineer (mostly bands) for over 10 years. I have recently teamed up with a talented musician to form a song-writing production company. Our aim is to write pop songs for artists to perform. As you know there’s a lot of competition out there and it could prove a lengthy process to reach our goals and become established. Luckily I have accumulated a series of contacts in my time and I will certainly use them. We’ve have built an introductory portfolio of songs to showcase our skills and we keep writing all the time. With this ‘showreel’ we are going to knock on many doors trying to get noticed. In the meantime we were thinking it certainly wouldn’t hurt to join a few music libraries in the hope to make some money. Right.. now to the main question.. Is it wise to upload songs (or instrumental versions of them) to music libraries if one those songs could later be picked up by an artist who may not like the idea that that piece of music has already been out here for a while and possibly even used on a TV commercial etc? The secondary question is.. Should we publish our songs on SoundCloud and make them public or should we have them as private and only allow in the people who we contact looking for work? Hope this makes sense. Any bit of advice would be much appreciated. Great info Greg. One question tho. 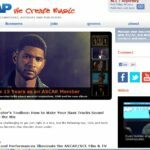 Why Tunecore? Wouldn’t CDBaby work or does Tunecore had special advantages? Im also trying to find a way to sign up with Rumblefish. There isn’t a signup link on the site. I’m sure Cdbaby would work, but at the time of the writing, I knew more about Tunecore than CDbaby. What got Tunecore on my radar was their track record with games.